Jenbri Carpet Cleaning LLC 20 yrs experience in the Carpet ,tile and grout cleaning and sealing services. Cleaning one Home at a time, Serving all of Clermont, Winter Garden,Minneola, Orlando, Windermere, Davenport, leesburg, tavares,ocoee,the villages area for the last 14 years. We Are Members Of the Chambers Of Commerce In Lake County Fl. from yelp to Google,Square,Facebook. we would like to say thank you to all of our customers in Clermont,Orlando,Davenport,the Villages,Leesburg, Windermere fl. 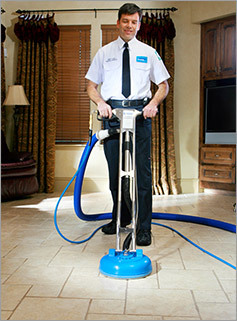 We offer a full range of carpet cleaning service using our best cleaners to meet all of your service needs. This includes using our best orlando carpet cleaners from our company which our carpet cleaners use only the state of the art equipment and our deep cleaning solution to make your carpet clean and healthy. Carpet cleaner orlando thoroughly start the carpet cleaning process includes Vacuuming , spot treating, Pre Spraying of Detergents Deep Into The Carpet Fibers, a thorough rinse with our powerful rotary cleaning tool..with our Powerful Truck Mount Systems From Prochem. •Upholstery Cleaning - From delicate silks to durable synthetic upholstery. We can clean it all. 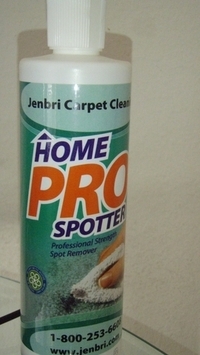 •Odor Removal - No odor is too tough for Jenbri Carpet Cleaning, we can handle anything. This includes deep down pet odor which we can remove with our sub surface cleaning system. •Carpet Protection - We offer only the best in carpet protectors, Dupont Teflon. •Dye Stain Removal - Using our heat transfer process we can remove just about any dye problem. Do you have red or pink stains from spilled drinks? No problem. Wood Floor Care for the Home, we at jenbri would like to maintain your most expensive investment such as your wood floor,we provide Residential Services: Jenbri company goal is to provide a residential service with outstanding service and amazing results. Our full spectrum of protective committed to providing a total solution for your wood floors. Not only do we provide the best finish to protect your floor but we have a cleaning solution to keep your wood floor looking its best. Call us the proven, experienced professionals and don’t be the victim of shoddy work that can ruin your carpet, or so called carpet cleaners who are not certified nor insured and utilize poor equipment and unproven methods. At your satisfaction is GUARANTEED!! Carpet Cleaning, Upholstery Cleaning, Tile & Grout Cleaning, Water/Flood Damage Services, Floorwaxing&Stripping, Rug Cleaning, Move Out, Move In Cleaning,Pet Stain Removal, WoodFloor refinishing. Be Amazed How Well It Works. cleaning all kinds of carpets from pet stains to wine stains Orlando fl.